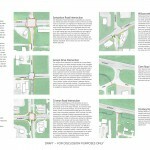 In 2012, the City of Portage, Indiana was faced with a number of issues along the U.S. Highway 20 Corridor. 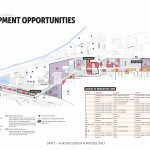 A large number of vacancies and incompatible uses had created a tricky area with no clear direction. 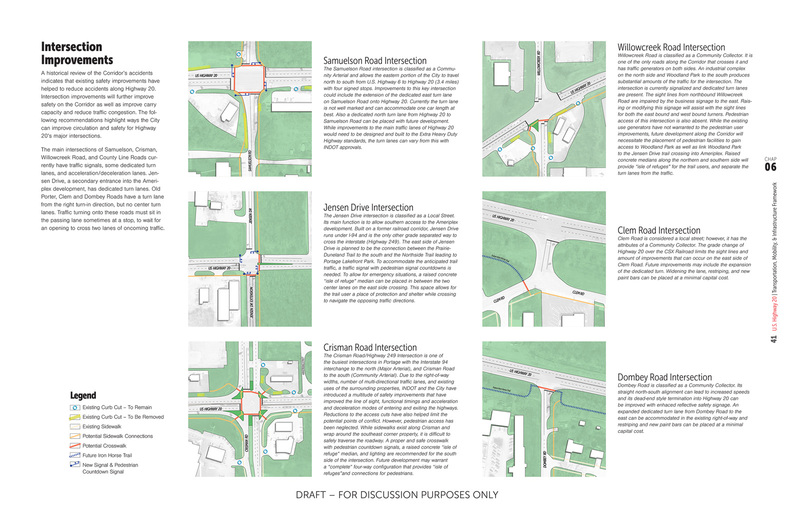 A major truck route in the region, Highway 20 faced visibility issues for vehicles moving through the corridor. 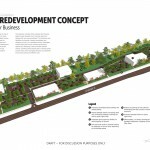 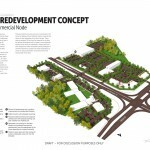 Prior to and during the planning process, the city had taken an aggressive stance on land acquisition, purchasing numerous parcels along the highway with the hope of directing future growth. 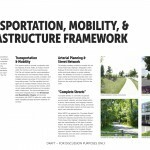 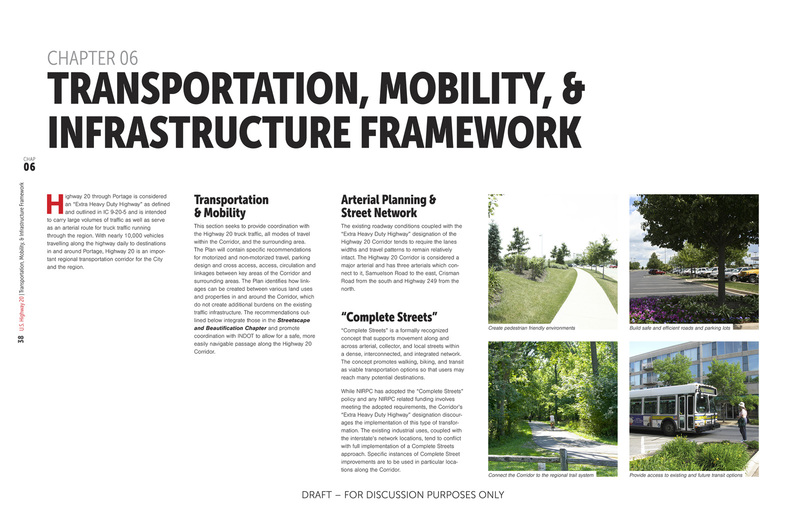 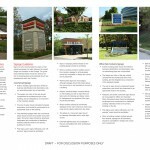 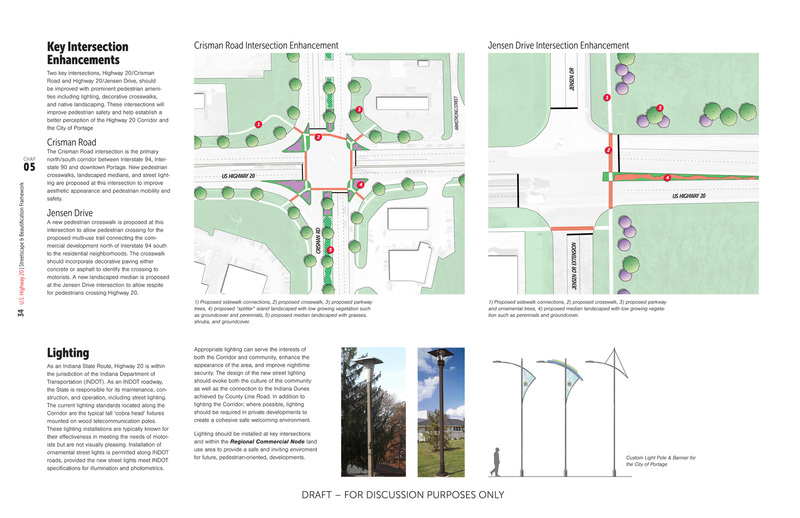 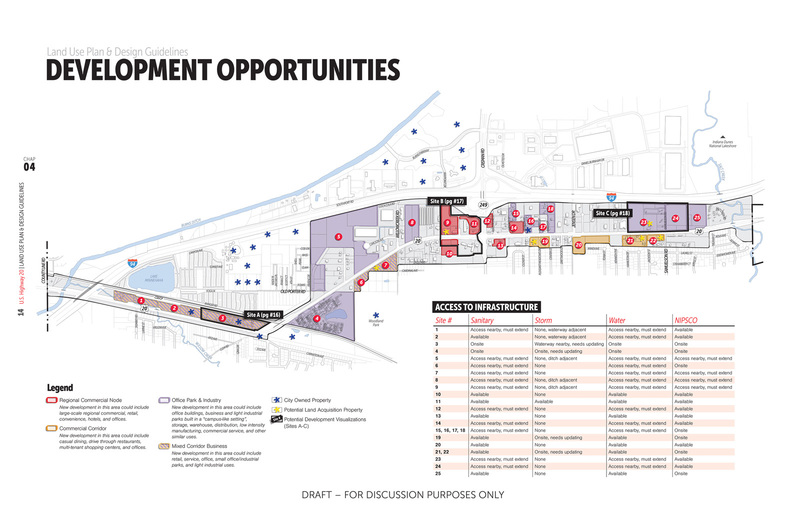 Through the development of the U.S. Highway 20 Corridor Plan, the City of Portage hoped to provide purpose and guide development along the corridor. 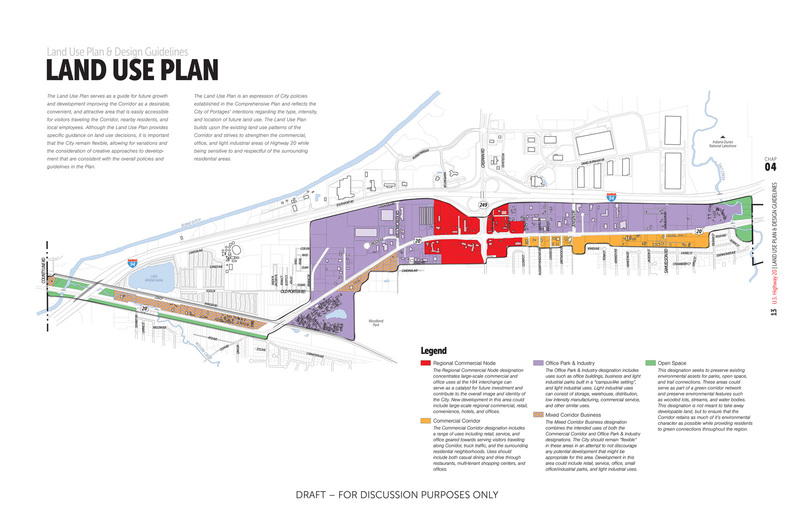 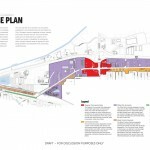 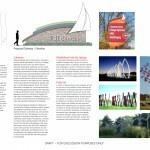 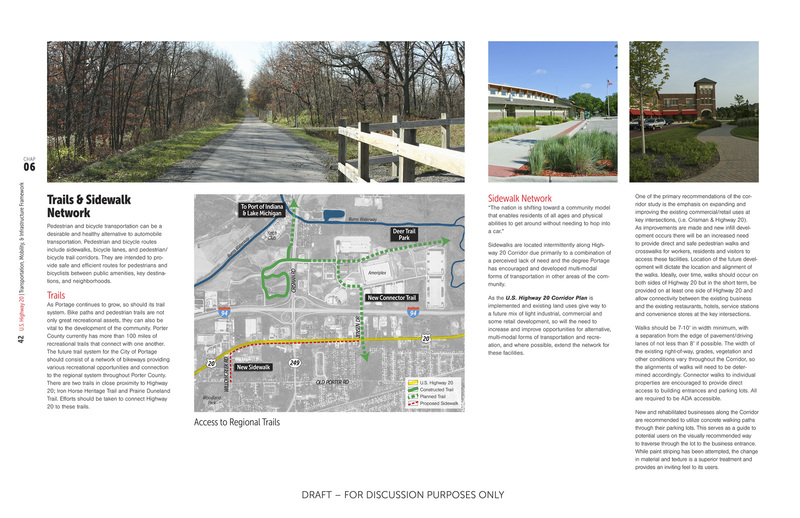 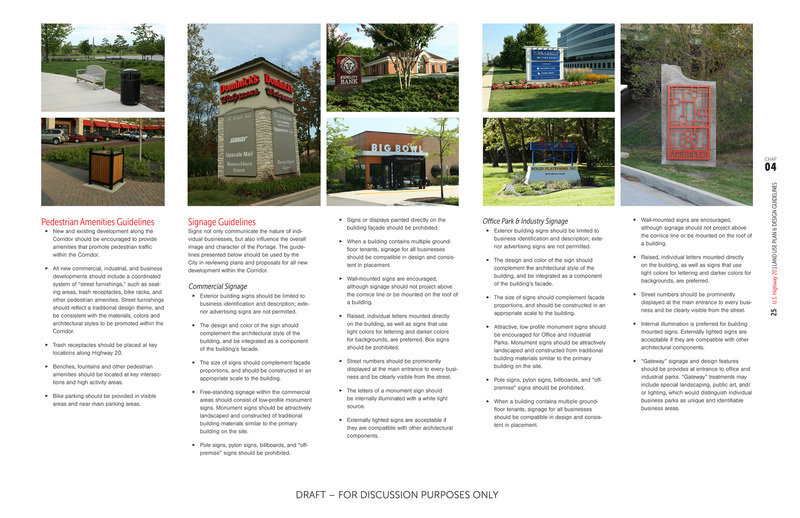 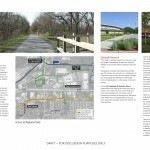 The Corridor Plan was brought together to act as a guidebook, rather than a rulebook, helping the City increase industrial and commercial uses. 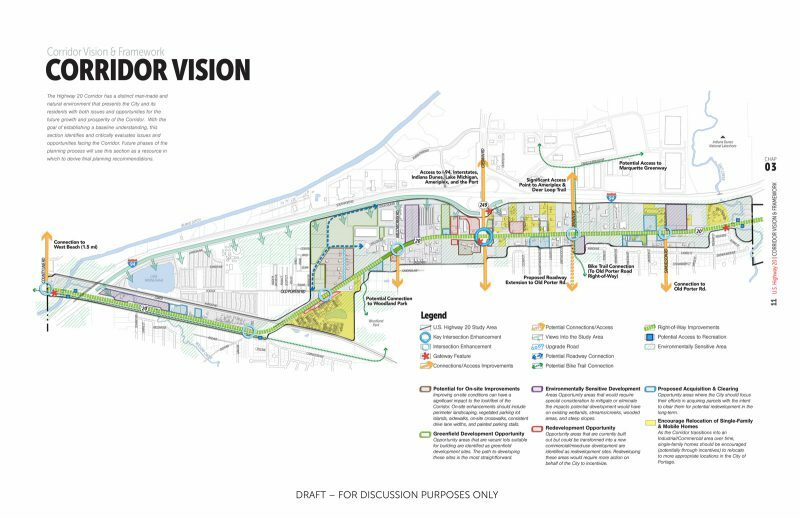 The Plan was designed to be flexible, taking into account the power of market determinants and preparing City staff for changes in the local economy. 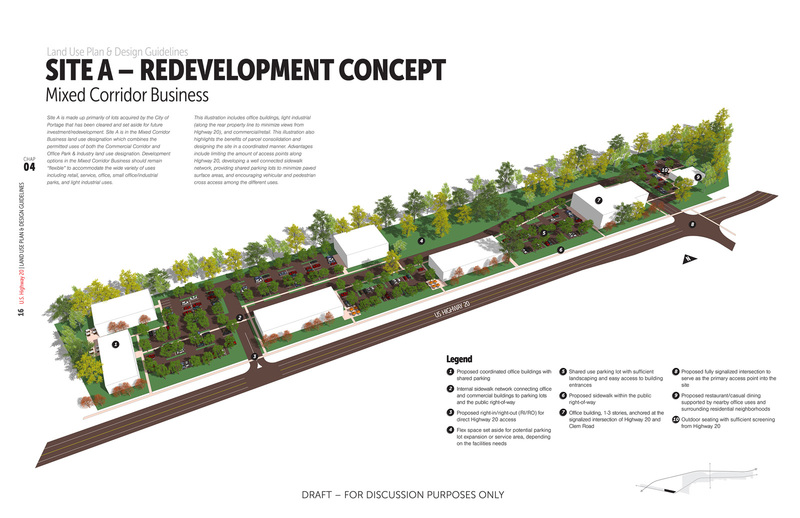 The City’s policy of land acquisition also enabled staff to have a direct role in redevelopment and usage of the corridor’s available lots. 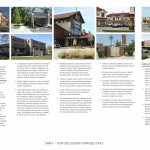 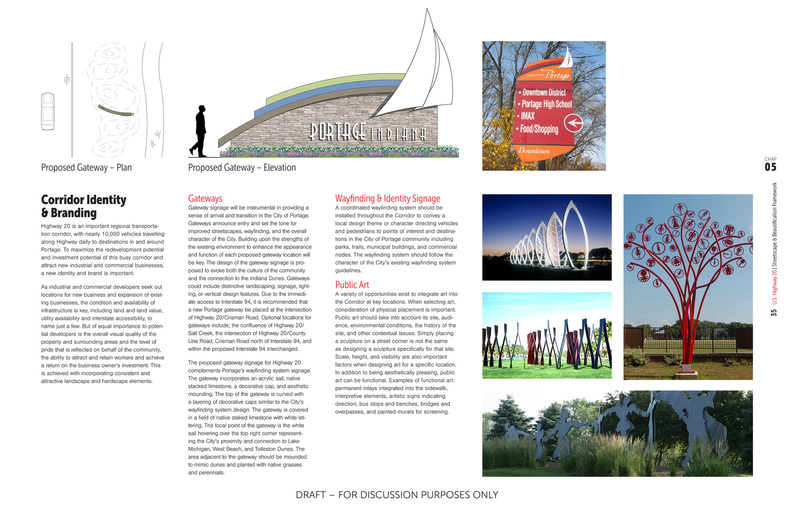 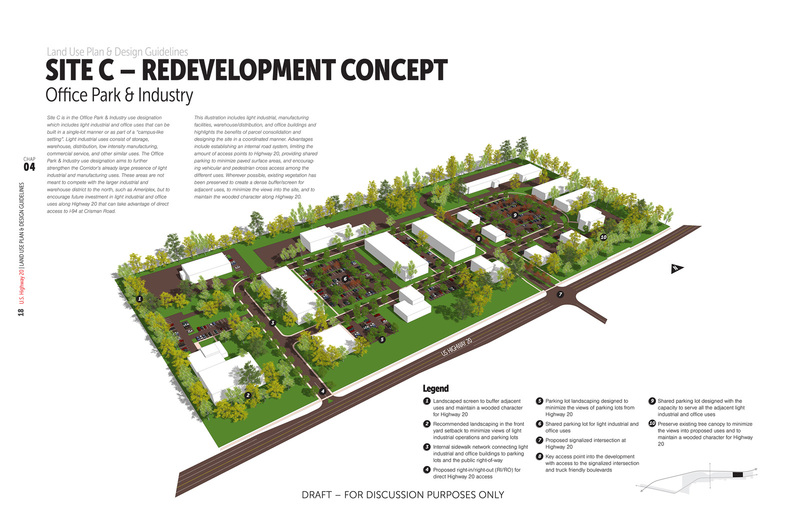 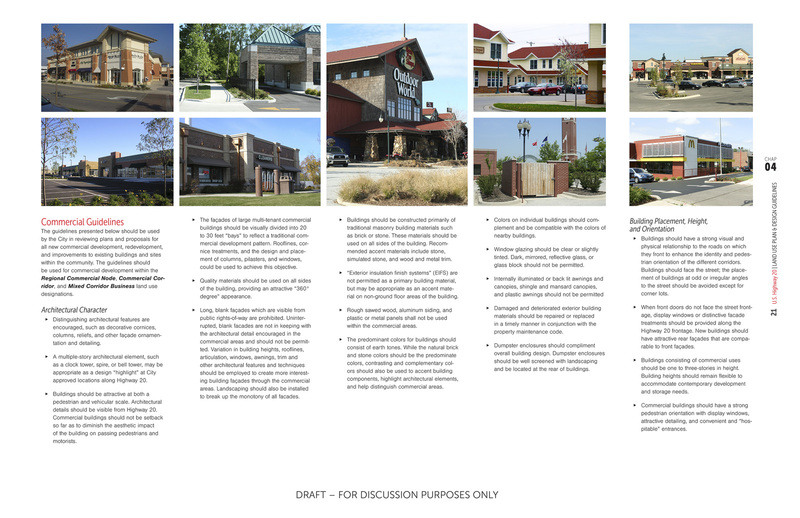 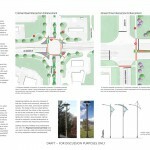 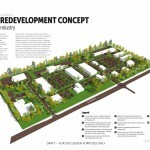 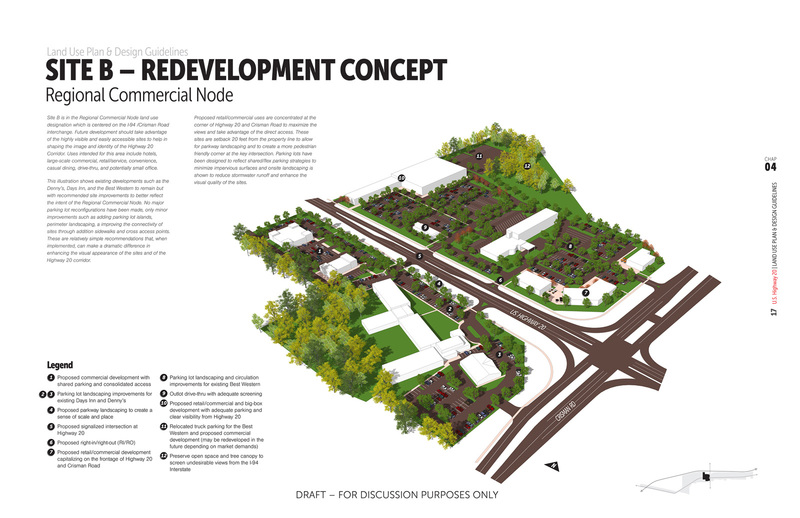 Including detailed design visualizations, on-site renderings for a variety of uses, development guidelines, a conceptual streetscape plan, and an economic development & reinvestment strategy, the plan prepared the City of Portage to adapt redevelopment and investment to the various forces affecting the U.S. Highway 20 Corridor.